Updates to Jerry N.'s profile since your last visit are highlighted in yellow. I've been living in Houston since I graduated from Lamar University in '72. I practiced electrical engineering for 38 years and retired from that biz in June 2010, now being a full time musician. I started playing music professionally at age 15 in and around Galveston County and finally am now able to do what I always wanted to do. 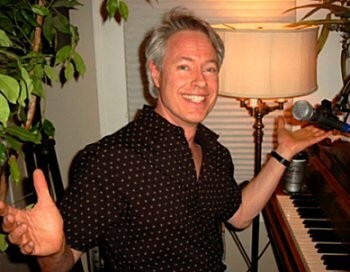 I play piano and electronic keyboards and usually function as a one-man band backing up terrific singers. Historically I made my mark doing society gigs (charity galas, wedding receptions, corporate and private parties, etc.) but for over four years have settled into a restaurant gig, something I thought I'd never do. But the pay, the owner, the food, the perks and “family” there are terrific. Over the course of a month, I work with seven great singers of widely varying musical styles and at this ripe age have learned more "new" music than I ever thought this old foggy noggin' would hold. My mother still lives at our family home on 13th Ave and still mows the yard at 89. I offer to do it for her but when I get there it's done. She says when she can't do it anymore something’s really wrong. My dear dad Fred passed on in 2006. My brother Kent (class of '64) still lives on 14th Ave with his wife of 50-ish years, Paula (Warren, class of '66). They have two grown daughters, Anita Beth Atwood Watts and Pamela Kay Atwood Halstead, each of whom has two kids, and all live in Texas City. Jerry N. Atwood has a birthday today.